Dr. Heidi Steinkamp’s passion for medicine and helping others was sparked by her mother who was a registered nurse and her father who was left paralyzed from the waist down after contracting polio prior to the development of a vaccine. Born in 1980 to older parents, the youngest of three siblings, Heidi was raised in Cincinnati, Ohio. She attended the Ohio State University from which she graduated with two Bachelor degrees in Microbiology and Chemistry. She moved to the San Francisco Bay area where she worked for a research lab at UC Berkeley for two years. While working at the lab, Heidi had a very charismatic boss, a MacArthur Genius Award recipient, who inspired her to obtain a degree in dental medicine and pursue a PhD in parasitic diseases. Heidi has always been very involved as a volunteer and an activist. In college, along with one of her best friends and roommate, who now runs a poverty center, she founded a club whose objective was to let students experience diversity. The club brought speakers from different cultures and ethnic groups, who spoke about their traditions and the experiences in the US. The club also organized children’s activities for the greater Columbus African American festival. Among other things, Heidi volunteered with an all-women’s Habitat for Humanity crew and was also heavily involved with Women’s Health while an undergraduate at Ohio State. Dr. Steinkamp encourages everyone to get involved. “When you volunteer, there is no rush or stress, you can really take your time to help your patients and provide them with a good experience with minimal pain.” Dr. Steinkamp will be returning back to Ohio this June to begin residency training in pediatric dentistry at Ohio State/Nationwide Children’s Hospital. 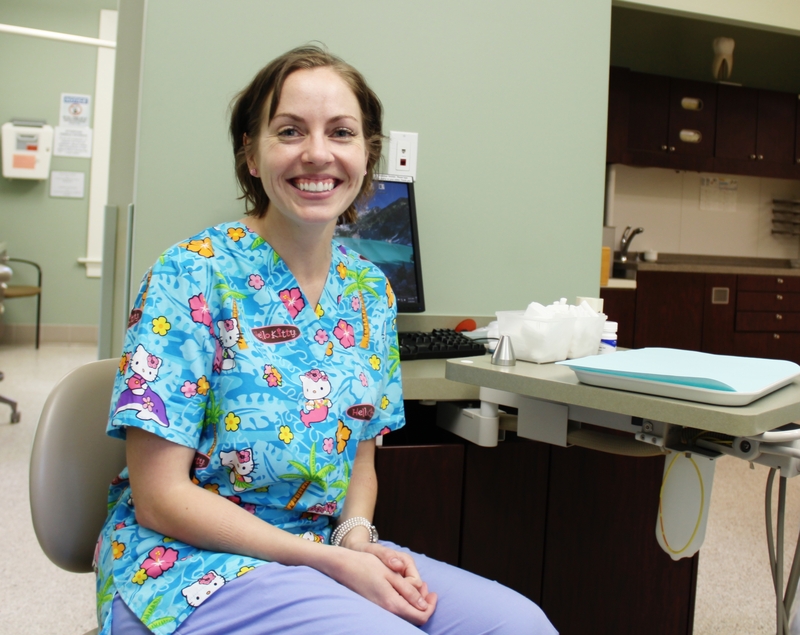 However, she plans to maintain her SC dental license so that she can continue to volunteer at Our Lady of Mercy Community Outreach when she comes back to visit Charleston. Volunteer Spotlight is a column in The Island Connection highlighting members of the community who give their time to help others. If you know of a volunteer who deserves the spotlight email jennifer@luckydognews.com. If you’ d like to get involved with Our Lady of Mercy Community Outreach and make a positive change in someone’s life contact Maria Gurovich via phone 843.559.4109 or email mariad@olmoutreach.org.